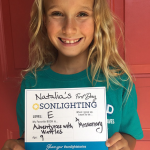 I read this article and wanted to share it with you: A Celebration of Sonlight Families with Adopted Children https://blog.sonlight.com/a-celebration-of-sonlight-families-with-adopted-children.html. I believe Sonlighters are special people. They are eager to learn. They love to discuss important ideas. They truly seek to share God's love with others. I am reminded of this each time I have the privilege to meet Sonlighters in my travels. I rejoice that God has called many Sonlighters to welcome adoptive and/or foster children. What a beautiful picture of our adoption into God's family. When parents welcome children who need a permanent home, it is a practical, visible picture of a heavenly reality. John and I have never felt called to adopt, but we are encouraged when we hear stories from those who have. I believe our curriculum can be a unique blessing to adoptive homeschool families. As families read together, they are knit together, and their new children gain language skills easily. Sonlight is less confrontational than workbooks, and less distant than computer-based programs. 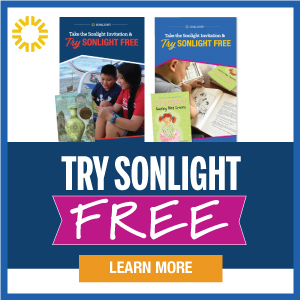 Sonlight's combined structure and flexibility give adoptive families the tools and freedom they need. 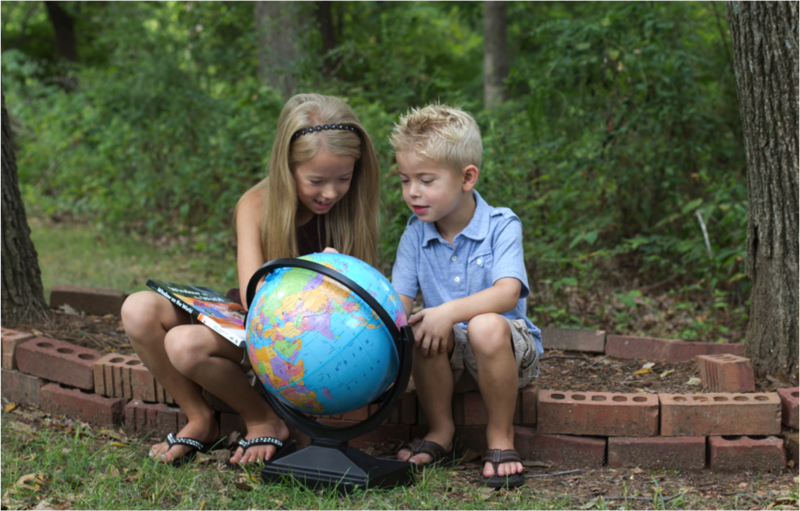 I want to highlight some beautiful adoptive families and share their words about their Sonlight homeschool experience. And those are just a few of the stories we have from families who have adopted. Whether or not God has called you to adopt, please take a moment with me to celebrate and pray for those families with adoptive children. And for every Sonlight family, we truly count it our privilege to serve you. P.S. To read about one Sonlight family's adventures in adoption and serving the Lord, check out www.tosowaseed.net. Heather doesn't work for Sonlight; she is simply one of many long-time customers with lots of wisdom and love to share. This was fantastic! Thank you! 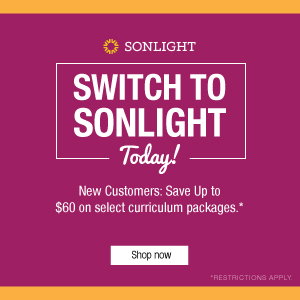 Our family is moving overseas to work with orphans, and we are switching our curriculum to Sonlight. I have adopted siblings, and we are willing and open to adding children to our family through adoption. This article was a direct reminder today of why we are choosing Sonlight and some of the ways it will benefit us. I second all of the sentiments of the blessings of Sonlight for adoptive families! 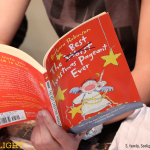 We loved Sonlight anyway with our three boys, but after adding two girls from China we have seen even more benefits - the gentle introduction to learning and language, learning about the whole world and not just America, the bonding opportunities for siblings, and the list goes on. 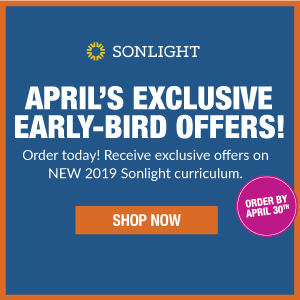 I am SO VERY thankful for the time and thought you all have put into pulling this curriculum together; I can't even put into words how much Sonlight means to us, and I can't imagine homeschooling any other way. May God continue to bless the work of your hands as you glorify Him in this way! Love this post, and thanks for the blast from the past: the pic of me reading to two of my children. It made me smile. I truly feel that Sonlight is the best option for my unique family. It allows us to cover the world, which is important to us as a multicultural family, and it also keeps the stress out of planning because Sonlight has done that for me. That is priceless to me as a special needs mom because my spare time is limited to non-existent. Currently my little one is enjoying her own core--P3/4. 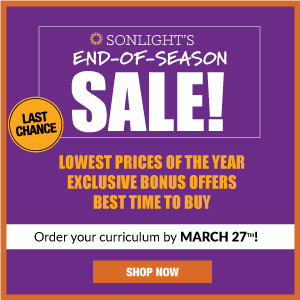 Thank you, Sonlight, for enriching our lives! Thank you for including books about different types of adoption. My oldest child is adopted, his adoption is a local private adoption. So far "Here's a Penny" most closely resembles his situation. Reading about Penny opened up a great opportunity to speak with our son about his adoption.